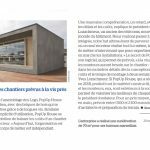 Thanks to its exceptional insulation properties, your PopUp House can be easily transformed into a positive house that produces its own energy! What is a positive building? A positive-energy building is a building that produces more energy than it consumes on an annual basis, thanks to the use of renewable energy sources. A positive building should not be confused with an “off-the-grid” building. An “off-the-grid” building produces its own energy at all times, since it is cut-off from the traditional power grid, as its name implies. This setup requires the use of storage batteries and larger photovoltaic surface area. A positive building, however, remains attached to the power grid. To learn more, check out the CSTB video “How to move towards positive energy?” (in French). 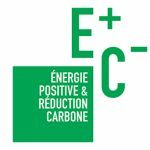 The French BEPOS 2017 certification is awarded to energy-producing buildings that meet E+C- level 3 energy requirements (the Environmental Performance of New Buildings Trial Scheme, launched as part of the broader French Energy Transition for Green Growth Act). * These conditions are applicable for residential buildings; they will be more demanding in the case of office buildings. There is also a second certification, the BEPOS + certification, which corresponds to level 4 of the E + C- standard. It rewards exemplary buildings that produce more energy than they consume, going even further in their energy performance. You do not have to certify your house as a positive energy house. However, some municipalities may offer you a grant or subsidies for having this certification. How can I have a positive PopUp House? Take a look at our guide for bioclimatic house. You can install photovoltaic panels on the roof of your PopUp House: these panels convert solar radiation into electricity. 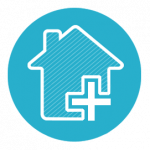 The required panel area will be defined according to your project: building area, energy needs, geographic location. To meet the total needs of a family of 4, that is to say, produce as much energy as will be consumed in one year, it takes on average 60m ² of panels, or 35 panels. Help you choose the right contract to connect to the EDF electricity network in France, so that you get the best return on your investment possible.